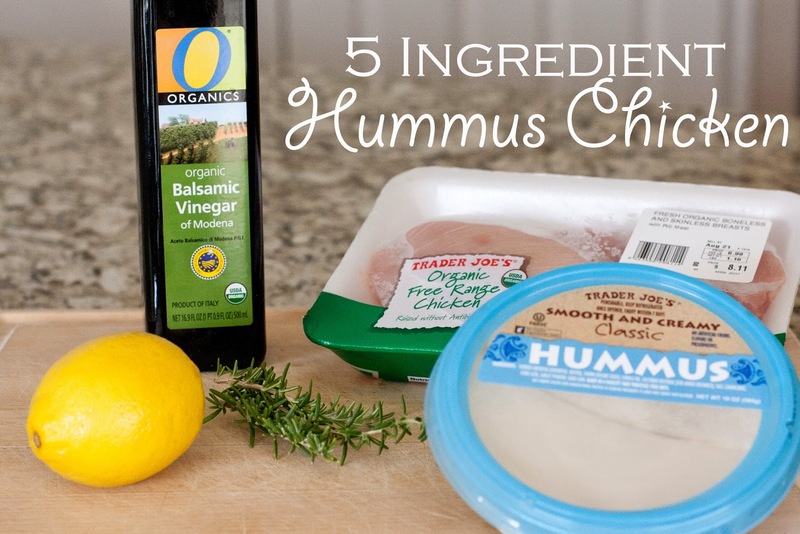 Today I'm sharing the easiest, quickest recipe in my book: Hummus Chicken. It's fancy enough to serve dinner guests, yet simple enough to throw together on a random weeknight when you haven't planned ahead. Bonus - it creates very few dishes! 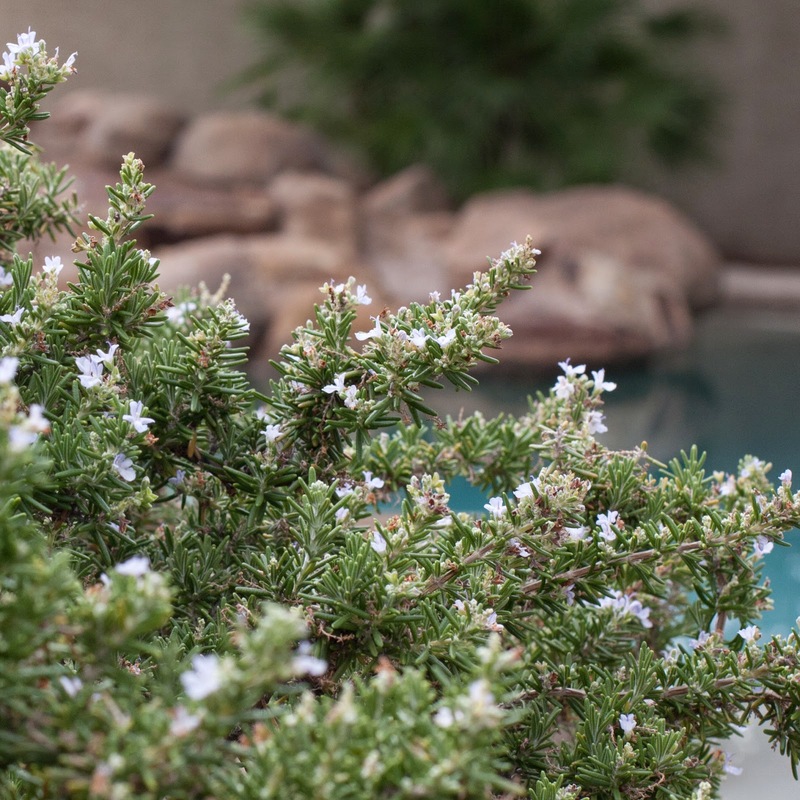 For me, it's always been a very convenient dish since two of the five ingredients grow in our Scottsdale backyard. The mise en place for this dish couldn't be simpler. 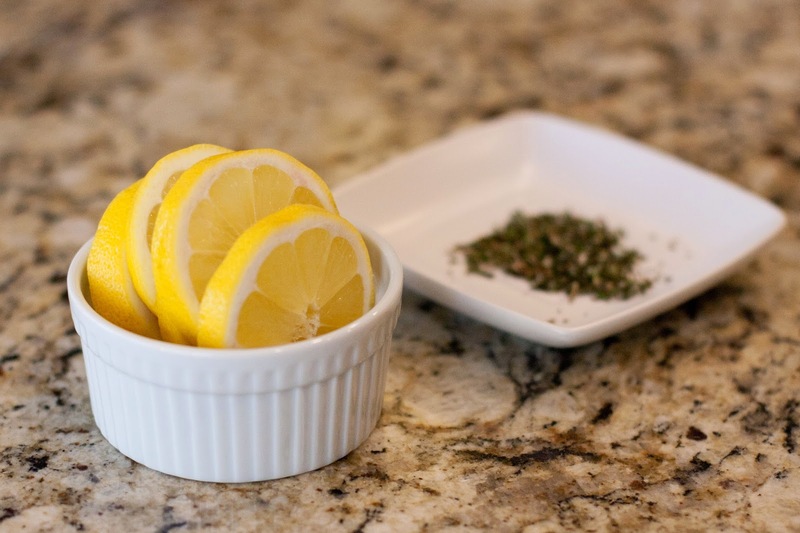 Slice a lemon and chop some rosemary. Done. 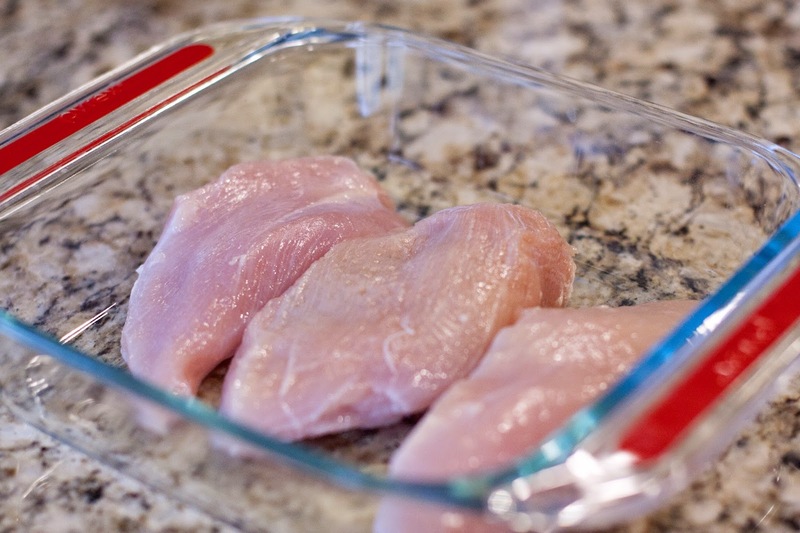 Next, place boneless, skinless chicken breasts in a baking dish (this recipe can be doubled or triples very easily). 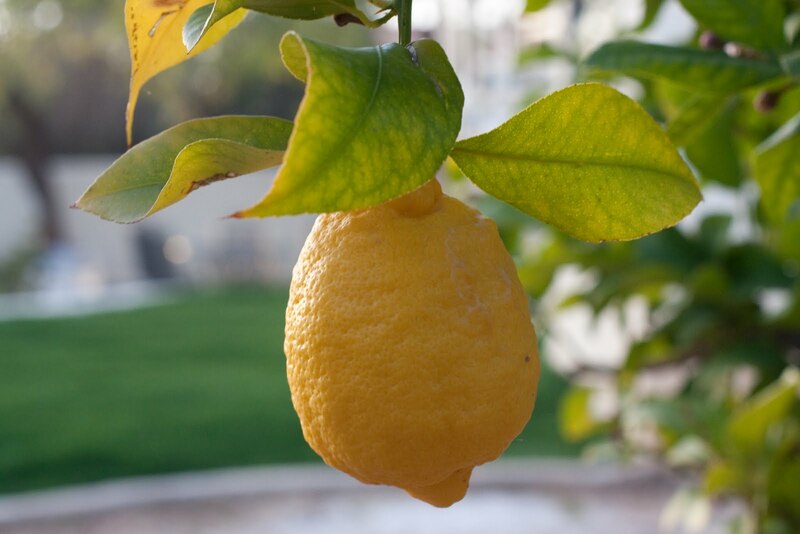 Coat them with your favorite hummus. 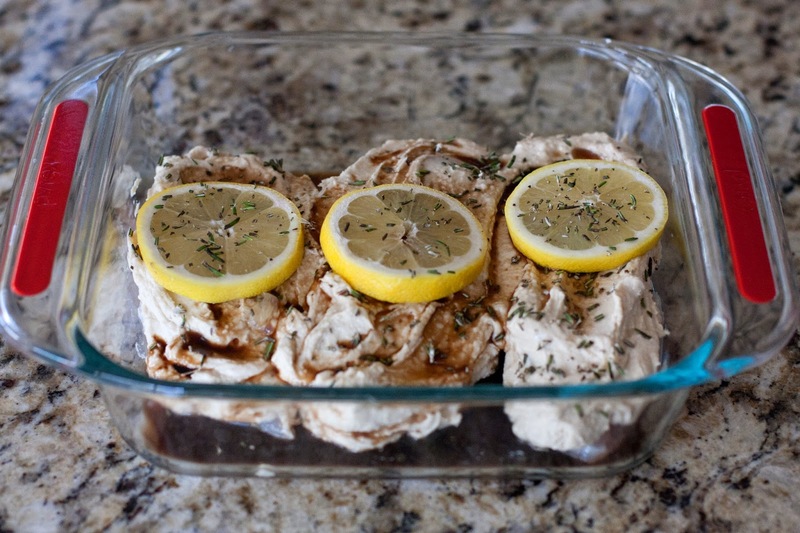 Once the chicken is coated, squeeze one of the lemon slices over the chicken, drizzle on some of the balsamic vinegar and sprinkle on some of the rosemary. Now the fancy part. 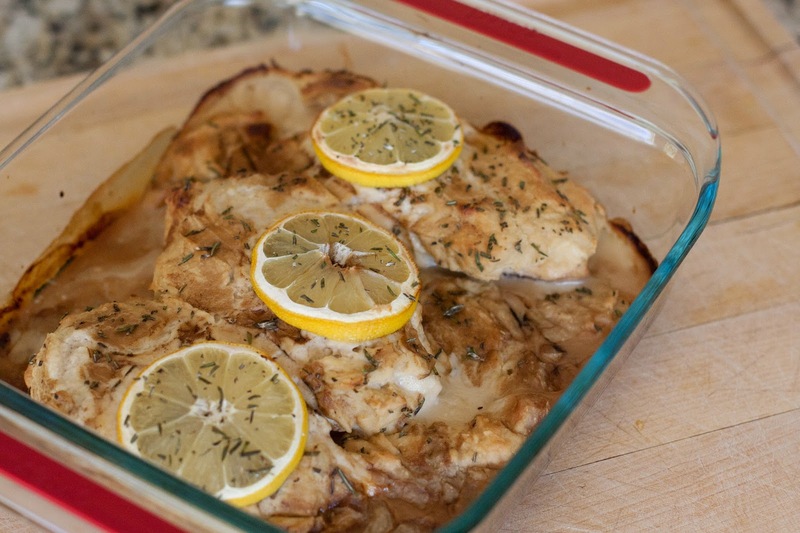 Place a lemon slice on each chicken breast and sprinkle on the rest of the rosemary. Pop the dish in a 375 degree oven for half an hour. Couldn't be easier, right?? The chicken will get a nice dark crust while in the oven. Doesn't it look lovely? It's basically foolproof, which makes it perfect for a dinner party since you can put it in the oven and forget about it until it's time to take it out. 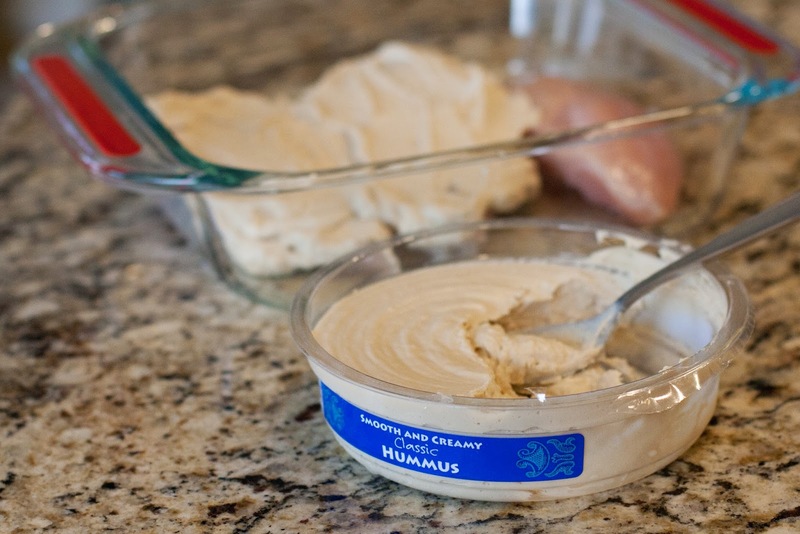 The hummus makes the chicken so delicious and creamy. 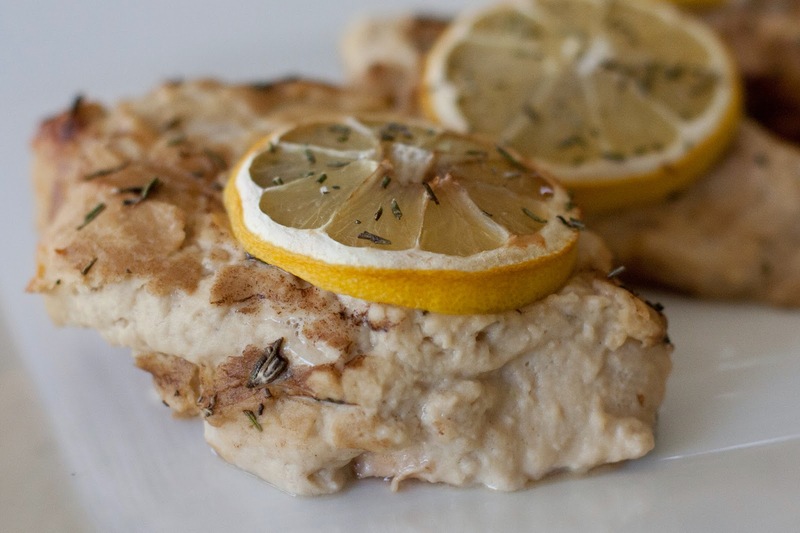 You would never guess the recipe falls under "Clean Eating" - dairy free and gluten free! 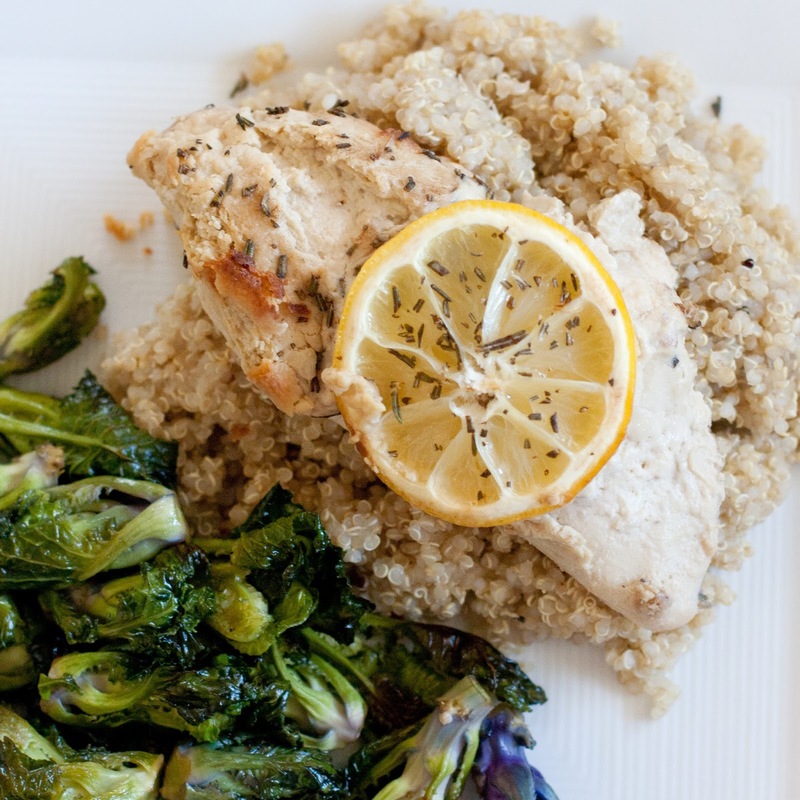 If I want the entire meal to be a Clean Eating meal, I serve the chicken over quinoa and roast up some veggies to serve on the side (here with Kale sprouts). Enjoy! I loved that you shared this! 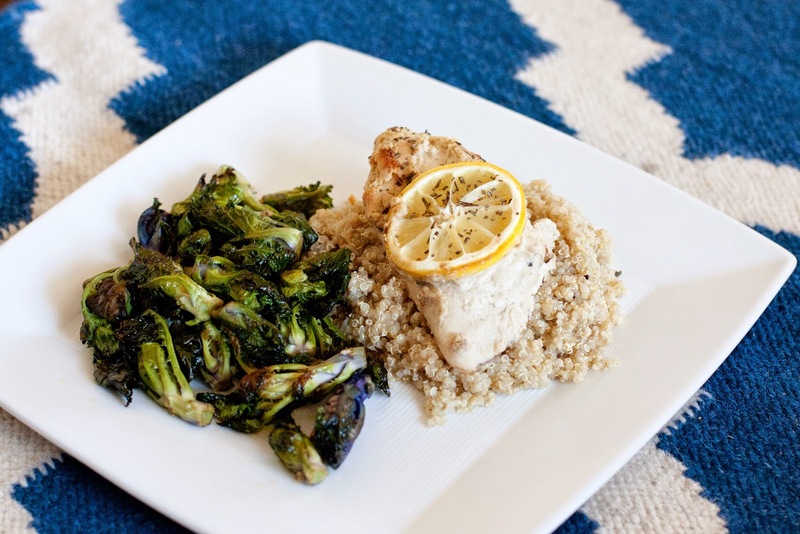 I am always looking for new recipes that are simple to make! Keep sharing! Thank you! Wow, this looks delicious. 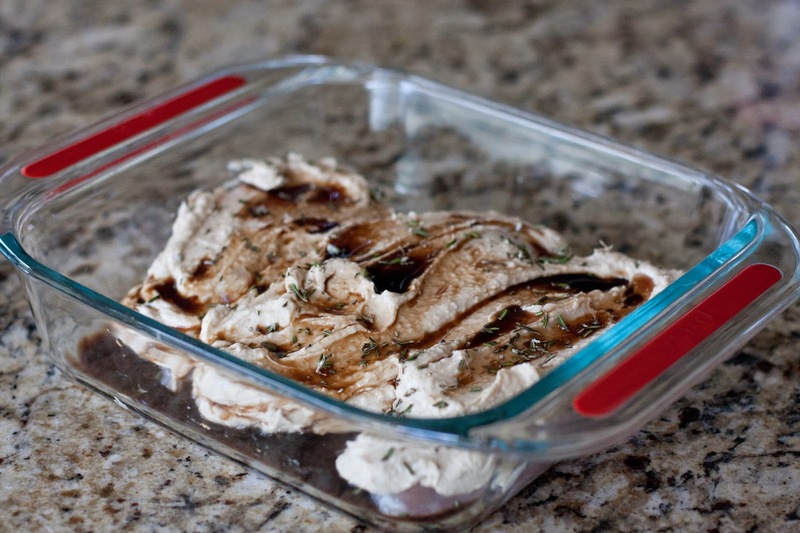 I'm going to have to try adding the balsamic vinegar and rosemary next time. Thanks for pointing this out!